This started out as a fluke but really ended up being useful! My boyfriend was playing with my cards and he discovered this important spread! Tarot can also be used to look at energy issues. Every time I just feel BLAH or Restless and don’t know what my problem is, I use my cards. 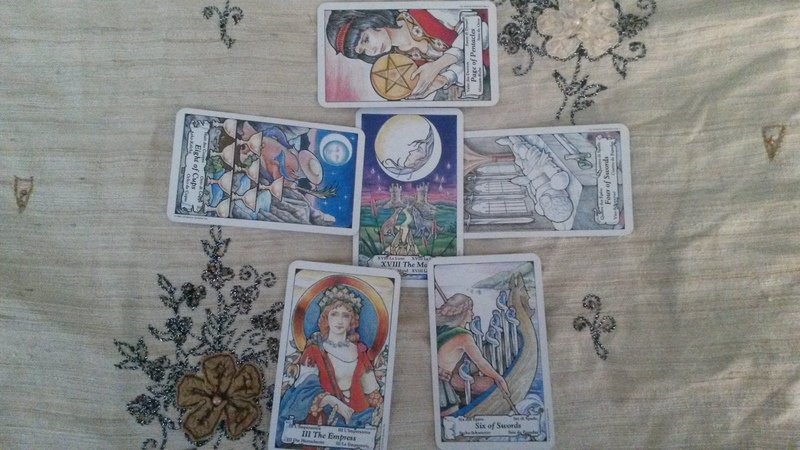 This spread started as a “Hey can I give you a reading?” from my boyfriend and he made a person with my cards. When I interpreted it, it literally showed everything that was going on with me! So, I am going to share this tutorial with you on how to do my custom spread. Remember if you want me to do any reading for you, visit my website to set that up. Another pretty Paint drawing by me. 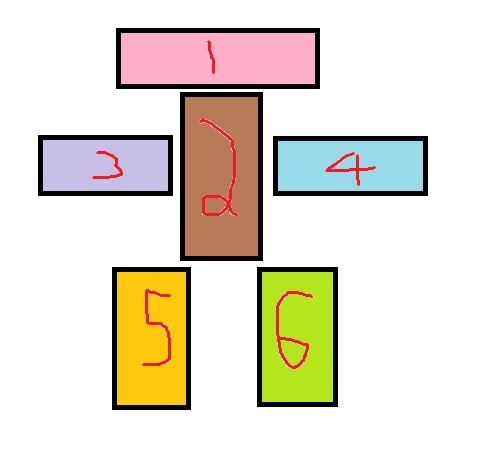 Place the cards in the number pattern shown. Reversals are okay if you use them. Remember that if you use reversals, a card on its side facing left is reversed, while a card facing right is upright. Adjust the right/left arms and legs to fit a left handed person you are reading for. 1. The Head: This shows the energy that is going on in the head area. What is this person thinking? What is a worry of this person? Positive and negative readings depend on reversals. Is this person in their head too much? 2. The Core: This is the most important card as it goes over the core feelings/desires/emotions/ or blockages of the person. 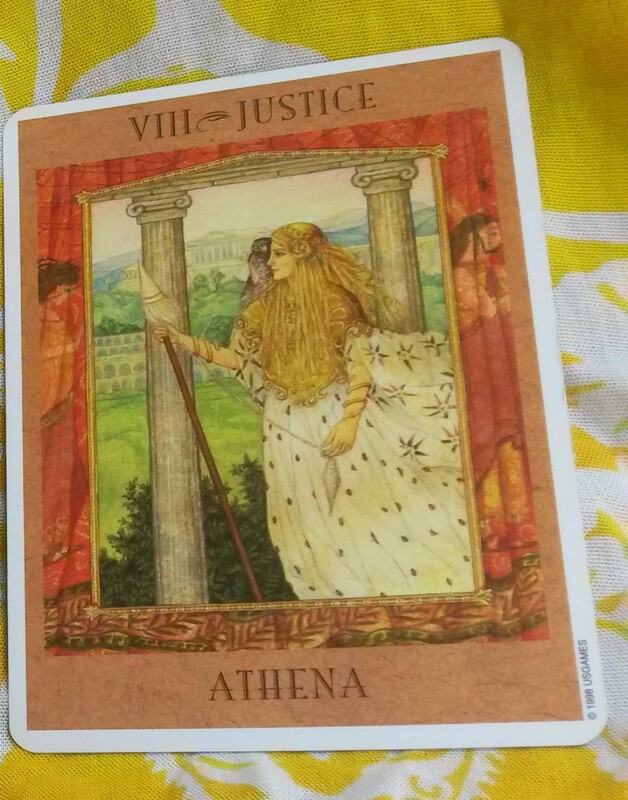 What is at the crux of a problem will be shown in this card. What is the overall mood of this person? If this card is upright than that means that the person is typically aware of what is going on and that their physical core is strong. 3. The right hand/ The active energy they are giving to the world/universe/people: [Adjust for Left handed people] What is this person giving back? Is this person giving back anything? Are they hurting the world around them? Are they forgetting to be kind? 4. The left hand/ The passive energy they are receiving from the world/universe: Are they receiving pain or goodness? Are they receiving a rough challenge or a problem with a tough solution? Are they receiving love to conquer it? 5. The right leg/ The active force/attitude they are embodying: Are they being kind and gentle, or are they forcing their way though life? Are they trying too much with little progress? Are they treading too softly? 6. The left leg/ The passive force/attitudes they are getting from others: Are they taking a lot of other’s energy? Are they at the brunt of other’s abuse? Are people showing them love and affection when they’d rather be left alone? If there is an imbalance it is easy to see where it could be. If a blockage or problem is found I would work with the person with crystals and pendulums over the reversals to ease up their pain or problems if they are open to that.